"Just bring me back some sand baby. That's all I want. I want to tell everyone that I've been to Africa and touched the ground." Those are the last words that I heard from my grandmother when I called her for the fourth time while I was in Africa. I am currently celebrating the life of my late grandmother - 1/21/2009. I was so happy she was at least able to see the Inauguration of President Barack Obama on the 20th. I called her house on that cold morning to let her know I was freezing and that I made my way all the way to the Capitol grounds. I couldn't believe it myself. I only reached her voicemail but then I called my dad and he was in the same room with her giving her my story play by play through my eyes. I had one hand on my cell phone and the other hand wrapped tightly around my camera. 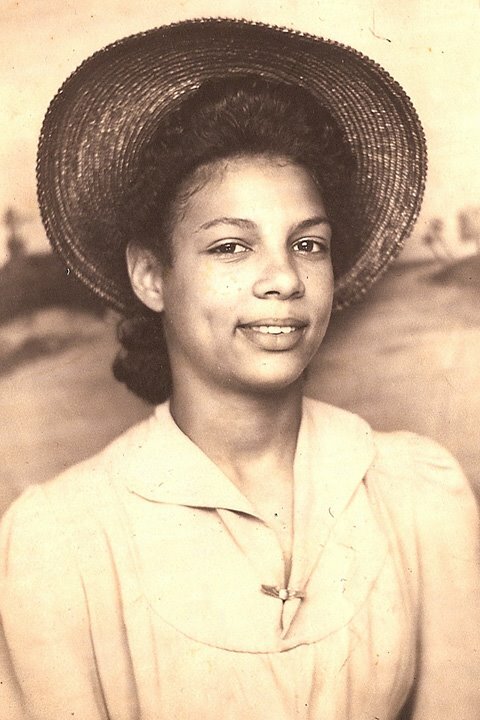 My grandmother was beautiful, a warrior and the rock of our family. She and her siblings played a major role in the Civil Rights Movement while growing up in Florida. I smile and at the same time shed tears when I recount the stories that she shared with me. That was a sad time for our country. Braving the cold for a few hours on Inauguration Day to watch history was nothing compared to being sprayed with water hoses and not being allowed to eat at the place of your choosing. I am so happy that my grandmother saw me graduate from college, start a career, buy a house, run a successful business, fall in love, get married, and travel the world. I sent her a copy of every magazine I was published in and she would call me to let me know she received every one. Only one unedited Inauguration photo for now (I have 1000). I pushed to the front of the crowd to honor the legacy of my ancestors. This one is for you grandma. I can be anything I want to be when I grow up! Thanks to you...and God above. For me, this is a time for prayer and the celebration of my grandmother's life. Hi Ross, My condolences to you and your family in your time of loss. Your grandmother sounds a lot like mine...a mover and a shaker in her day...only mine was not here to witness this historical moment. I to was very moved and excited by the day. So much so I was taking pictures of the TV screen like I was there...lol! The pictures aren't that great so I look forward to experiencing the moment again through the eyes of your camera. May God continue to bless you and keep you. You are an awesome photographer! What a moving post. Thank you for sharing. So sorry about your grandmother but I glad she was able to see the inaguration of the first African American President in her lifetime. Jan. 20, 2009 was amazing and I know it will be something that will be forever ingrained in our minds till the end of time. I'm glad you were able to be there and you were able to take a really nice picture of President Obama. Has a nice ring to it doesn't it?! God bless!!! My condolences to you and your family. I too braved the cold and crowds to witness the inauguration of President Obama and I it's great that your Grandma was able to witness it as well. Be blessed. My prayers are with you and your family. She held on to see change and transitioned to leave a legacy. Sorry to hear about your Grandma.Condolences to you and your family. She left a great legacy behind in you and i'm sure the rest of your family. Celebrate her life, and keep her spirit alive. 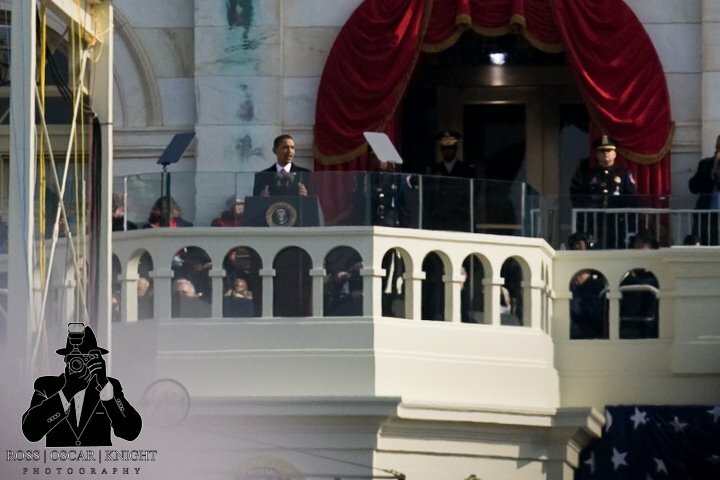 Cant wait to see the rest of the Presidential Inauguration pictures. this time is such a celebration of life. capture it and let it continue. I'm so sorry to hear about your grandmother. I know the feeling, and it's not a fun thing, but like you I have fond and fun memories of her that are everlasting. I'm praying for you in this time. Keep living and representing her and all she stood for. It was a pleasure meeting you and Woody. Can't wait to see the pics. I am sorry about the loss of your grandmother. I am glad that she had a chance to rejoice with you at the election of our new president and first lady. I told my husband my dream would be to have you come and capture any special occasion for us; hopefully my dream will come to pass. Also thank you for the wonderful work that you did for the couple in 2007 Remember the Ritz; many people were blessed because of your gift and the grooms thoughtfulness. Now that I know you have a blog, I will stop in and say hi from time to time. Greetings, I have been checking your blog all day awaiting some photos from DC but to my surprise I find a photo of a woman, your grandmother. I stare at the picture and I see our history and I try to grasp all that she may have seen in her lifetime. Wow, I think, what a blessings...You and your family are in my prayers. What a lovely legacy to your grandmother. My condolences and my prayers are with you. A very moving post indeed. I want to wish you and your family condolences. There are no words that can fully heal the pain but know that her spirit remains with you for all time. So sorry to hear about the loss of your grandmother. I know it must have been a history lesson for you when she would talk to you about what it was like during the Civil Rights Movement and dream about change. And, then to experience the change in seeing an African American become the President of the United States. My condolences are with you and your family. I have been an admirer of your work, talent, and spirit for a some time now. This will be my first time leaving a comment but, I was moved to do so. I just want to let you know that my prayers and condolences, as well as those of my friends, go out to you and your family in your time of loss. I am sure that the foundation that your Grandmother and her siblings built the family on will continue to endure. I also trust that the light of her spirit, with which she guided, will not fade because it burns on brightly in each of you. Be Blessed, Be Encouraged, and Be At Peace in God's Strength. My condolences to you and your family. My maternal grandmother was the rock of my family too. She passed away 3 years ago this March and I think of her daily. I hope and pray that I am the person that she helped me become versus what the world wants me to be. I have thought about all of my grandparents alot lately. I am enjoying every moment of this time on their behalf and I am glad that your grandmother got to see the inauguration before she went to her rest. Its hard for me to articulate how Tuesday felt so I can only imagine how amazing the older generation felt witnessing something so simply splendid and graceful and excellent. I have been looking online for pictures that capture the essence of the inauguration and I haven't been able to find any that I really want to purchase. It didn't occur to me that you would be in Washington for the inauguration so I am pleasantly surprised to find out that you did go and you took pictures! I look forward to seeing your work and congratulations for getting the opportunity to witness something so awesome in person. From the looks of your first published photo of the event, it seems that we won't be disappointed. I wish you had the opportunity to be the official photographer because I would like to see what you would have done with the view over the mall to the Lincoln Memorial from the podium. The perfect shot (in my minds eye anyway) would be capturing President Obama taking the oath of office with the mall in the background, surrounded by his family and the Chief Justice. This will be my first time leaving a comment. I have admired your work for some time now. Sorry for your loss of your grandmother. It was great that she was able to see his inauguration. You and your family are in my prayers. God bless. My sympathy and prayers to you and your family at this time. God bless. I have been looking at your blog for the last year and this is my first time leaving a comment. I'm not a photographer but I love your images. I pray for strength an increased faith at this time for your family. Be encouraged. Ross, I send condolences to you and your family at this time. My prayers are with you all. At the Inauguration, I was off to your left in the Purple crowd beside a tree (which my daughter refused to let me climb!). Yes, cold and hours of standing but I would do it again in a heartbeat. My oldest, Deilia, had gotten tickets for her Field Organizer work in New Mexico. I was sooo blessed to be there with her. Ross, my condolences to you and your family. May you all continue to be blessed and touched by the legacy of love and strength bequeathed to you. I am so sorry to hear about your loss. But I am also uplifted to hear about the celebration of your grandmother's life through the celebration of our new president. The similar struggles, and the history captured is the memory you will hold deep in your heart. I hope you will continue to be blessed in all the memories and the history she has shared first hand of our past. And most of all, I am glad she got to see the best gift of all, Barack!! What an awesome privilege to celebrate the life of your grandmother! I am also very glad she saw the Inguaration of President Barack Obama. I know these coming days will be hard, but her legacy lives on through you and your siblings. Life does not end, it's simply transferred. Absent from the body, present with God. May the Holy Spirit bring you comfort and peace. Sorry for your loss. My prayers are with you and your family. Life is such a precious gift and I am glad for you and your siblings that you got the experience from the life that struggled against adversity and finally are beginning to live Martin's dream. Also, I am happy to hear that you got a chance to capture in this moment of our history. Ross, I'm so sorry to hear about your grandmother. She sounds like she was a very inspiring person and beautiful on top of it. My heart goes out to you. I lost my grandmother in March of 2008. I spent every opportunity I had to love her while she was alive. I still miss her like YOU "WOULD BELIEVE." But I am comforted by the knowledge that she knew that I loved her. There is no question of that. Based on your post, I am confident your grandmother had the same understanding. . .
Hi Ross, I am so sorry to hear of your grandmother's passing. I will keep you and your family lifted in prayer. My condolences to you and your family. Thank you again for sharing another piece of your family and your story with us. I am so sorry for your loss. I think you have a great perspective on things and I will say a prayer for you and your family as you all adjust to this change in your lives. I am so sorry to hear that your Grandmother has passed on. What a wonderful life she had! Thank You so much for sharing her story. You and your family are in my thoughts and prayers! My condolences to you and your family during your time of bereavement. Know that the strength, courage, and wisdom your grandmother displayed throughout her life will continue to shine through you and your family continually. Peace and blessings always. Your grandmother sounds like a extraordinary woman. My condolences to you and yours. What a beautiful and moving post about your grandmother and her legacy. From this blog any reader can tell that she left an enormous impact on your life. My condolences are with you and your family. May God continue to bless and guide your family in this time of sadness. My deepest condolences are with you and your entire family.Your tribute to your grandmother brought me to tears. I pray an increase of strength in the lord during this your time of loss. You are truly a wonderful,sincere and gifted black man,this world needs more people like you in it. Thank you for sharing your grandmothers story with the world. My condolences to you and your family in your time of loss. Take comfort in God . Your Grandmother sounds like a great woman. I am glad she live to see some of the fruits of her hard work. Wow if Washington had so many people there watching. Here in Barbados I believe work stopped just to watch it on CNN and if people weren't watching we were listening to it on the radio . I would never forget that day . Anyway Ross Enjoy your day , say hi to Dr.Mrs.Kinght . I'm glad that you were there because I knew you were going to get great shots. I was there as well. Looking forward to your pictures. Note: You should put together a photo book on this one and sell it. I would buy it. (Dave Beasley's friend). Note: I enjoy reading your blogs. God bless and may God continue to comfort you in the homegoing of your Mom. I offer condolences to you and your family. May peace and blessings give you and your family the strength to carry your grandmothers memory. I am so sorry to hear about your grandmother. I will keep you and your family in my prayers. My prayers are with you and your family. Her presence will be with you all forever. My condolences to you and your family. I know how it is to loose a Grandmother, mother, father etc. It's not only a celebration for their lives but a very sad lost. May you find comfort in God. My condolences and prayers go out to you and your family. That's right Ross you can and will be anything you want to be. God bless! I don't know if my post went through (I tried to leave a comment earlier) but my condolences to you and your family on the passing of your grandmother. Ross, my deepest condolences on the transition of your grandmother. May she be able to rest and look down on all of you from heaven. Sorry for your loss. May God keep you and your family in prayer. So sorry to hear of your loss. May God keep you and your family. May the Lord grant peace, hope, joy for your sorrow and every thing that will keep you and your family at this time. Hey Ross, just finding out, I'm glad you had a lovely and close relationship with your trailblazer of a grandmother. Strength, Grace and Peace to you and your family. I'm sorry to hear about your grandmother. It's truly a blessing that she was able to witness those key moments in your life... college, house, business, etc. Nice photo from inauguration! I was there too... with a blue ticket, 40D, 70-200mm lens w/ 2x extender, and several layers of clothing. :o) Here are some of my images from the welcome concert and swearing in ceremony.